I felt very comfortable with Jack Erickson's assessment of my property and trusted his advise on how resolve my interior floor issues. The team was able to use Polylevel and permanently stabilize my floors. I was impressed with the crews professionalism , expertise and the price over all was acceptable . Front walk had sunken about 4" at front door slab, Texas Concrete and Foundation repair gave me a solid proposal and projection of job timeline. Albert was very through in explaining the process and the crew was on time for the appointment agreed upon. I would absolutely recommend Longhorn Concrete & Foundation Repairs to family and friends . Great job guys ! I had received a quote for total replacement . I reviewed Texas CFR online and decided to give it a shot ,Wow what a difference so glad I did . Concrete slabs around pool were uneven and sticking up on corners. The joint cracks were unsealed. I Visited with Mark at Trade Show in Belton and he assured us he could help us out. Albert and his crew were friendly and showed up on time on the agreed upon date. They worked hard to complete the job in a timely manner. We agreed upon the exact scope of work prior to beginning the job and there were no surprises. I would highly recommend Texas Concrete and Foundation Repair for your concrete repair needs! What made me choose Texas CFR was the availability, price and the teams willingness to work with our association . I was interested in the technology involved in the project , this prompted my research into Texas Concrete & Foundation Repair. great experience , professional staff, performed above my expectations. The break down of services and site visit investment made me feel more secure! I found Texas CFR on Facebook, They were very highly reviewed so I looked them up. I was NOT disappointed ! Albert and josh were a pleasure to work with . They did the job in one day and now I am enjoying the view of my driveway . Texas CFR did an outstanding job , we were kept up to date on all processes . company is fast and honest. Saw at the home & garden show, had a great presentation! 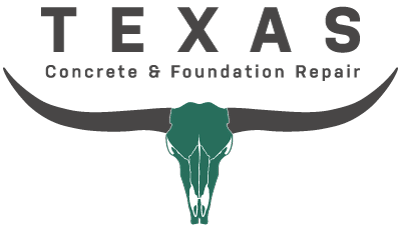 I reached out to Texas Concrete and Foundation review after searching the internet for a affordable repair solution on my patio , I was very pleased I did , their Sales man Kevin came out to evaluate my issue and provided me with three different job repair scenarios. I agreed on one and the crew was on site within two weeks, The repair took one day . Albert and team did a wonderful job I was impressed by the work ethic they displayed. I am 100% happy with my experience and I know you will be too! !